This kitchen is a contemporary study in curves and harmony. 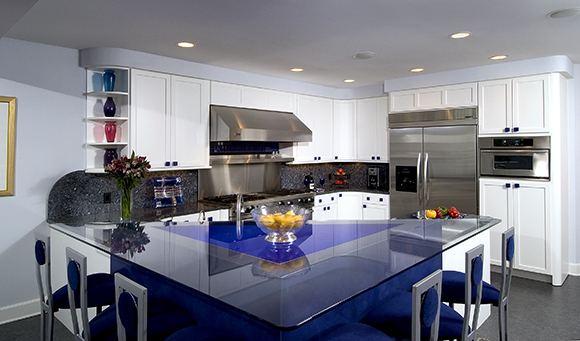 Jazzy blue glass countertops are unified by a constant sense of circular motion. 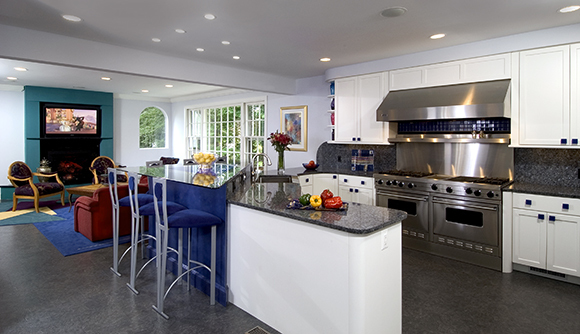 Rounded edges are everywhere: on the countertop, backsplash, cabinetry, furniture, soffits and windows. The combination of both natural and manmade materials, strong vibrant colors and constant motion give this kitchen a dynamic visual appeal.